Lucy Hale attends the Jonathan Simkhai opens new retail store and brand headquarters In Los Angeles event at Jonathan Simkhai on July 25, 2018 in West Hollywood, California. 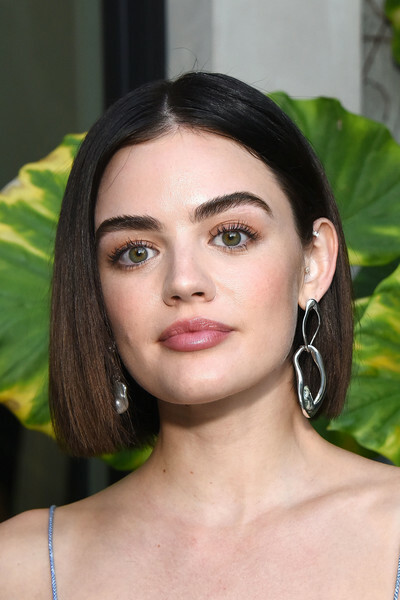 Lucy Hale went for modern styling with a pair of warped hoop earrings. Lucy Hale sported a neat bob at the Jonathan Simkhai store opening.